The new Call of Duty has a name, and it's Black Ops. There's pretty much nothing on the website right now except a release date of November 9 of this year, which shockingly is a Tuesday. That's it. You can sign up for updates too. Which is very exciting. I should also mention, just for the sake of, that this CoD is not being developed by Infinity Ward. Activision is sticking to its now standard release scedule of an IW CoD one year, a Treyarch one the next. This year is Treyarch's turn. Should be interesting to see what happens next year. Now you're talking Sony, and I'm buying. The classic PC title (I didn't even know it was on the PSOne) Dark Forces is now available for purchase and play on your PS3 or PSP. For those who don't know what DF is, it's the first FPS set in the Star Wars universe. Players play the roll of Kyle Katarn, a rogue similar to Han Solo. I can't for the life of me remember if it's in the first title at all, but in the sequels Katarn becomes a bit of a Jedi. Powers and Lightsabre and all. This is a true classic game and it's nice to see Sony actually giving us a good addition to the PSOne classics series. More please. *oh just to remind everyone- the PSN update will take place on Tuesday starting next week. For “Alan Wake” fans looking forward to spending some extra quality time in Bright Falls, they can extend their stay in the eerie small town set in the Pacific Northwest. Included with every new purchase of the standard or limited collector’s editions of “Alan Wake,” fans will score a token code card to download the title’s first Game Add-on at no cost only on Xbox LIVE when it becomes available later this year. 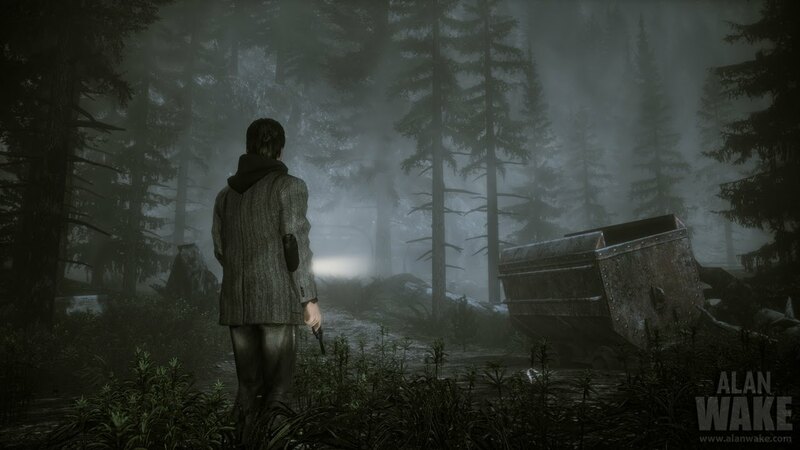 Make sure to stock up on extra batteries for your trusty flashlight as “Alan Wake” arrives on May 14 in Europe, May 18 in the Americas, and May 27 in Japan. Judging by people's reactions though, you might think this is what happened- it didn't. What has happened is that Bungie (the Halo company that doesn't own Halo- still an Xbox exclusive) has begun production on it's first non-Halo game in a really long time, (was Oni the last one?) and has given the much maligned super-publisher Activision the exclusive global, multi-platform, multi-device (!) publishing rights to that title. Also, I should note that (even though I didn't want to get into it on this blog) Call of Duty developer Infinity Ward has just very messily broken up (basically) with Activision. So you might think of this move as Activision kind of swapping out IW and slappin' in a fresh clip full of Bungie. At least, on a trial basis. So we actually get another decent game this week for the DSiWare service. Sin & Punishment: Star Successor (Wii, June 27): The incredible new shooter game from legendary developer Treasure, Sin & Punishment: Star Successor features nonstop action with two playable characters and international online leaderboards to track high scores. Using the Wii Remote™ pointer functionality, the game offers unprecedented precision in the shooter genre. Broadband Internet access is required for online features. Metroid: Other M (Wii, Aug. 31): Developed for the Wii console through a collaboration by Nintendo and the world-renowned Team Ninja, this newest installment of the Metroid saga looks at the classic franchise from a new perspective: While much of the game is reminiscent of 2-D side-scrollers, players can switch the perspective into 3-D at any time as they explore the twisting passages of a derelict space station and delve deep into a cinematic, never-before-told story of bounty hunter Samus Aran’s past. This new approach uses a new control scheme in which players use the Wii Remote controller, held sideways, to battle enemies and navigate the expansive, gorgeous environments in classic Metroid fashion, then aim at the screen with the Wii Remote pointer to blast foes in first-person and hunt the world for clues and hidden passages. Photo Dojo (Nintendo DSiWare, May 10): Get ready for some seriously fun Kung Fu action – starring you! 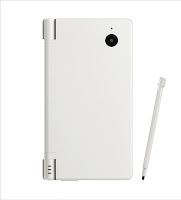 Create your own characters and record the sound effects using the Nintendo DSi system’s camera and microphone. Use your imagination to set the stage for a fun-filled fight to the finish. 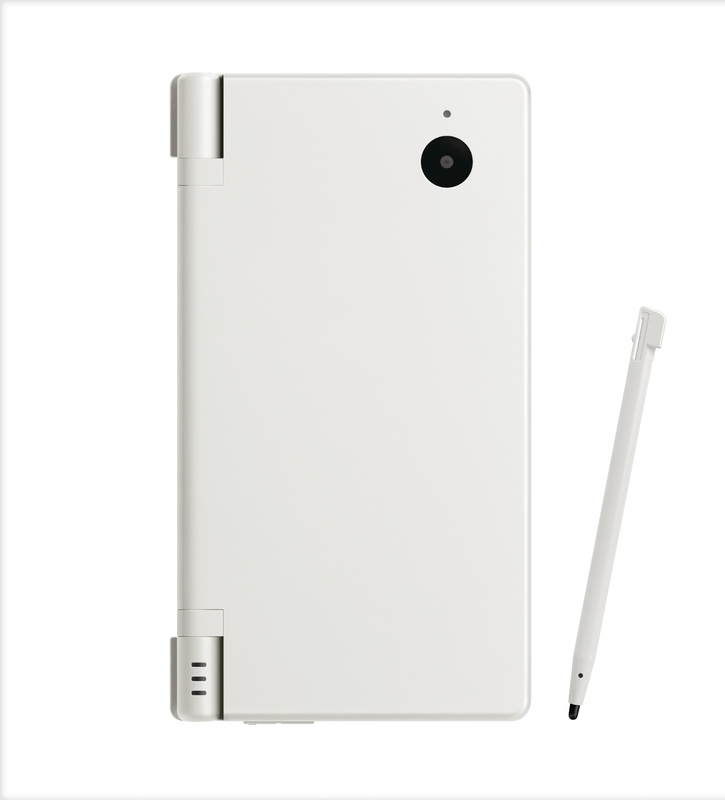 In a special introductory offer, Photo Dojo will be available for free download via the Nintendo DSi Shop from May 10 to June 10. Starting June 11, the game will be available for download for 200 Nintendo DSi Points. Earthworm Jim (Nintendo DSiWare, Gameloft, May 10): The classic action platformer is back with a never-before-seen feature, exclusively on the Nintendo DSi system. Run, gun, swing from hooks with your head, launch cows, bungee jump, rocket through speed levels and more, in crazy universes that offer huge game-play possibilities. Earn bonuses with facial expression-based challenges that track your face using the Nintendo DSi camera. Put on a smile, frown or make a variety of other faces to mimic Jim. BIT.TRIP RUNNER (WiiWare, Aksys Games, May 17): Marking the first character-based adventure for CaptainVideo, the newest installment in the BIT.TRIP series features rhythm-based action platforming, more than 50 challenges to complete and a pounding chiptune-inspired soundtrack. Looksley’s Line Up™ (Nintendo DSiWare, May 17): In this unique take on hidden picture games, Looksley the rabbit needs your help to find inspiring objects so he can finish the story he’s writing. The objects are hidden in 3-D dioramas made up of cutout layers that shift as you move the Nintendo DSi system. Unique Nintendo DSi camera-based controls let you peer deep into the game’s scenes and hunt for hidden objects just by moving the Nintendo DSi. Frogger Returns (Nintendo DSiWare, Konami, May 17): Frogger Returns takes the challenge of the arcade classic Frogger and brings it to the Nintendo DSiWare service for the first time. Classic top-down 2-D game-play is updated with colorful 3-D graphics, a new perspective, new levels, new enemies and game-changing power-ups to dodge and grab. Metal Torrent™ (Nintendo DSiWare, May 24): Compete with players around the world for the highest score in this new action game inspired by classic arcade shoot-’em-ups. Convert enemy bullets into score-generating cubes. Continuously absorb cubes to create score-accelerating combos. Download replay videos from top players via Nintendo® Wi-Fi Connection, or if you make the top five scores, upload your own video. X-Scape™ (Nintendo DSiWare, May 31): Take on an epic space adventure in X-Scape. As captain of the VIXIV, a highly advanced space tank, you’ll roam the surface of dozens of alien worlds, battling the forces of an empire that is out to destroy you. The touch screen makes controlling your vehicle a snap, and your helpful robot companion is there every step of the way to help you with advice and weapon upgrades. Hero of Sparta (Nintendo DSiWare, Gameloft, May 31): Battle like the fierce Spartan warrior you are to avoid a tragic death as you journey through mythical lands and even probe the depths of the Underworld. You will fight the most phenomenal monsters from mythology, defy Minotaurs and the Cyclops, and challenge the gods themselves! Flametail™ (Nintendo DSiWare, June 7): Clean up the space lanes of floating garbage with the starship Flametail. As you wind your way through the mind-bending obstacle course, your flaming tail will ignite the piles of rubbish to eliminate them. But be careful to not get caught in a dead end, or let the barrier that’s following you reach your tail. This puzzle action game is easy for anyone to pick up and play. A Kappa’s Trail (Nintendo DSiWare, June 14): Guide a little mythical river spirit to the human world with your Nintendo DSi stylus in this puzzle adventure. Draw a trail, and the little “kappa” will follow. It’s up to you to ensure he makes it through the gauntlet of enemies and treacherous paths of the Kappa Trail. I don't see Mario Galaxy 2 on there so it looks like we'll still be getting that next month. Maybe. Which basically means that they'll be saving a lot of money by not printing up game manuals. Instead of the industry standard crappy B&W booklet we get now (but it's a real treat when it's in color isn't it? Seriously, it's a moment of joy), we'll be getting digi-manuals coded onto the game disc itself. I guess it's cool. It saves trees and Ubi money in printing costs. Which I'm sure will get passed on to us at point of purchase. Right guys? The biggest thing about this week's update is the MLB app. The download is free and you get all of the day's MLB action streamed directly to your PS3 in HD for free!! It'll actually cost you an arm and a leg!! You must be an MLB.TV subscriber to fully utilize this app (some features, such as the calendar schedule, are available to everyone for free). There are two annual packages: MLB.TV is $99.95 and MLB.TV Premium is $119.95. If you aren’t already a MLB.TV subscriber, you can go to ps3.com/mlbtv to sign up. Once you’ve subscribed, link your MLB.TV subscription to a PS3 (via the app), and enjoy the season! Other stuff this week includes the new Uncharted multiplayer 'Horde Mode' uh.. 'Firefight' uh... 'Siege Mode'? Yes! That's the one! Seriously, why's everyone so 'me too'? At least it was unique when Gears did it. And still only one PSOne Classic!!!???!!! WTF!?! I'm going to start running the Xbox Newsbeats in an effort to give you guys a little more up to date LIVE news. Enjoy. Sony is preparing the PS3 for 3D gaming on it's Bravia 3D line of LCD's that will be launching later this year. This firmware update lays some more groundwork for that. 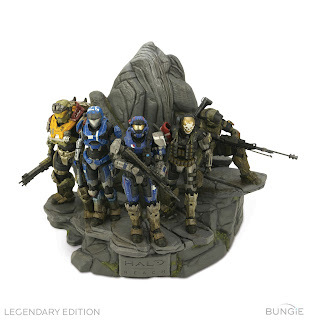 We also get enhanced Trophy support for all of our bragging needs. 3D is such a great idea for gaming that it's hard not to get excited about it. There are two issues that I have though. The first is that you have to go out and pick up a new TV. That effectively kills the install base for a while, which is really a shame because it most likely means that the technology won't really get off the ground for a few years. The other problem I have with it is the glasses. Nobody wants to wear a special set of glasses for 3D viewing. They're annoying, uncomfortable and expensive to purchase separately. Which is what you have to do if you have anyone over to play/watch. The upcoming Nintendo 3DS' tech seems to have it right, at least on paper, and I don't doubt (if the effect really works well) that we'll see it come to larger size screens. But personally, I'll wait to see where the 3D craze goes in general before I upgrade my set- and you should too. Microsoft has released the details of the upcoming Halo: Reach special edition packages (that can be pre-ordered this coming week @ Best Buy btw) and they look pretty damn cool. Gizmodo has the iPhone 4. Yow. Yep, it's real (99% real anyway) and they have had it. Here's the story. I highly recommend reading it now if you haven't seen any of Giz's coverage already. It's thoroughly in depth, covering all the bases, and is excellent stuff overall. GREAT scoop guys. Not a lot going on in general inside the DLC cocoon these days. The Unofficial Apple Weblog just posted up a story that almost locks in the new iDevice. AT&T stores will be blacking out all employee vacation days for the sixth month of the year. Now at first glance this might not sound like all that big of a deal but remember: AT&T does this every time a new Apple phone launches. So it's not definite confirmation, but since nary a word has crept out of Cupertino about the fourth gen iPhone, this is pretty much all we get to obsess over for now. Not only do you get a white DSi (sorry, no XL- not really a bad thing though...) but you also get Mario & Luigi Bowser's inside story for nuttin'. Total cost for the bundle is $169.99 American. Did you know that Nintendo was embroiled in a patent case against them since 2008? A jury figured that none of Nintendo's controllers offended against Anascape Ltd. This actually reversed a decision that a lower court made back in '08 that some of the Big N's older human interface devices (and the Wii classic controller) did infringe on patents granted to the plaintiff. Much like the PS3 version- better late than never I guess. Joystiq caught a little slip-up on Xbox LIVE this morning as someone decided it might be a good idea to spill the beans (for a couple of minutes) the Gears of War 3 will emerge in one year's time. GoW is one of the flagship exclusive series' for the 360 and is mega popular among shooter fans- including me. The new MGS game, Peace Walker, is arguably the biggest release for the PSP in the last few years and is definitely the biggest release for 2010. Along side the UMD (I haven't heard about the digital version), there will also be a pair of special bundle packages offered. The first is the usual bundle that we're all used to- it includes a 2gig memory stick and a special 'camo' PSP. 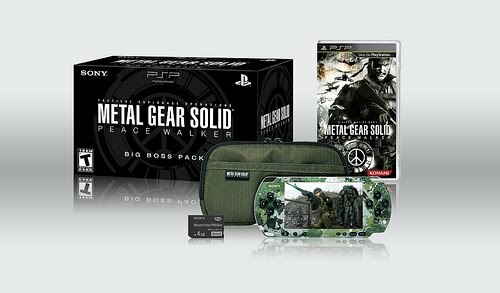 The second is a little better- the 'Big Boss' package includes the game, a 2gig stick, a camo PSP, a military green carry case, and special Metal Gear packaging. Also, because it's a pet peeve of mine, I must mention again that there are no PSOne classics this week. The answer to the question you're about to ask is NO- XS Airboat Racing DOES NOT COUNT. Period. Seriously, I know Dark Forces is coming at some point here, and that's a very good thin by the way, but can we get some more damn classics? Please?!? Come on people, it's not like this stuff is free! You'll make money on it! Really! The PSOne had so many great titles that crap like Airboat racing shouldn't be appearing on the network for a long time. There's plenty more that can be drained out of the pool before we have to go there Sony. New Assassin's Creed this year? *UPDATE* Looks like his profile is missing. I wonder if the special edition will have steelbook packaging? ...or 14th if you're in Europa. The continent not the moon. And you'll get your dose of Alan in Japan on the 27th. 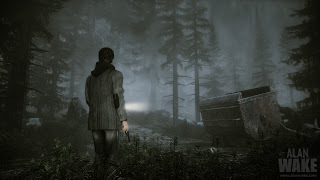 Alan Wake has been a looooong time coming but- as opposed to most games that take this long in developement purgatory- not only is it coming out soon, but it looks damn good to boot. Kudos to developer Remedy for (hopefully, it's not out yet) coming through on this one! Now, what's the state of Payne? Such a cute lil'guy. Doesn't really do that much though, does he? Honestly, how many DSiWare titles have you downloaded this year? I bought Dark Void and Flipnote. Was Flipnote this year? I think it was- I guess it has to have been, DSiWare is only one you know. There just isn't much to buy to feed a huge install base that is surely chomping at the bit to DL some C. Unless you're a fan of calculators and calendars that is, then there's plenty to go around. Just sayin'... Anyway, here's a video. Enjoy. So the iPad launches today- the lines at the Cube on fifth haven't really been anything spectacular but that might be because of the tremendous amount of pre-orders, most of which are for home delivery. I don't know anyone who'll be heading down to the retail shops to get theirs- everybody's on the UPS bandwagon. All of the signs point to the iPad being a winner, both in terms of functionality and sales. Okay so I've renamed this weekly feature - think it makes a little better sense since it actually is a wrap-up of the past week's LIVE updates. Modern Warfare 2 Night Vision Goggles for your Avatar- add this to your download queue NOW. The offer ends tomorrow. Blazeblue is up, I guess that's good. There's really so much more that they could do with the PSN for PSP though that it's just maddening. As a commenter pointed out on the Sony blog- why only one PSOne classic? It's crazy. There are so many great titles for the PSOne, it's a massive waste to not release them in a broader manner. If the game plays anywhere near as cool as this looks... well- I guess I don't really have to finish that statement.